The Declaration of Independence charged King George III with obstruction of justice. Impeachment articles charged Richard Nixon with obstruction of justice. 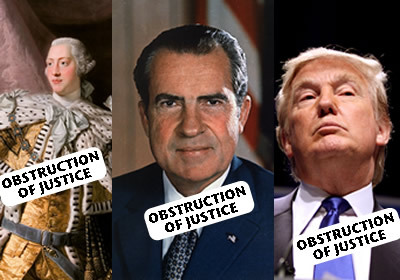 President Bill Clinton was impeached for obstruction of justice. Why should Donald Trump be above the rule of law? Click below to email your Representative.